In 1918 young Zacharias Nielsen boards a ship in Copenhagen to join the Red Guards in the Finnish Civil War. Encouraged by an idolised teacher with communist leanings, he follows the call for help from his Nordic Comrades, despite his privileged background. His best friend, Ansgar, has opposing political ideals to Zacharias but, for his own personal reasons, finds himself soon stuck in the Scandinavian North with Zacharias and Raisa, a Finnish nurse who helps them in their new life. Through the years that follow the brotherly war the trio see the political landscape in Finland and Europe change as Communists and Fascists try to make their mark and attempt to change the world order. Our heroes must find their own personal and ideological place in these turbulent times as friendship, honour, idealism and love triangles bring out some personal truths. The book spans almost thirty years of history and the various Finnish conflicts: Civil War, Winter War, Continuation War and the Lapland War. 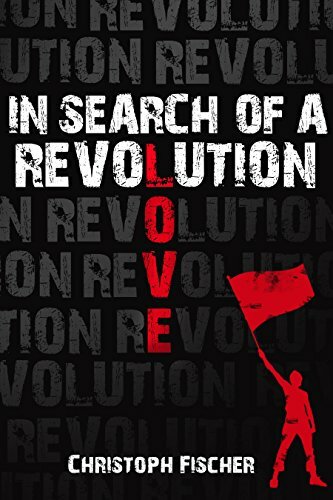 Watch the political and personal self discovery of characters in search of their own revolution.